Seattle Seahawks Playoff Game Viewing Locations for Families around the Northwest! Seattle Seahawks Super Bowl Game Locations for Families! The Seahawks are back in the Playoffs this year playing their first game against the Minnesota Vikings. We wanted to share a few of the best places to watch the game with kids if you’re wanting to head out & be around a ton of Seahawk fans for the game! We’ve compiled a list of kid-friendly locations around the Northwest where you can watch the game – but we need your help as I know there are a lot more places locally both in WA and in Oregon where you can go to watch the game & have fun with your families. Don’t forget to check out all the Seahawks deals we’ve been sharing as well! Seattle Central Library – Seattle, WA The library will be showing the game on its 15 foot wide projection screen in the Microsoft Auditorium. The address is 1000 4th Avenue. Families are welcome! It will be open from 10-1, but it does say you can come early to get a good seat. Seattle Center Armory – Seattle, WA – They will have at least 1 big screen showing the game. You can buy food from the Armory/Center House vendors. North Bend Movie Theater – North Bend, WA. You can watch the big game on their big movie screen! You get a big screen and comfy seating plus being surrounded by Hawks fans – sounds like a great idea to me! Hilliard’s Taproom – Seattle, WA – I checked in with them on Twitter & they said this is definitely a family-friendly Seahawks party. They will even have bleacher seating so that everyone can see the game well! They said both kids – and dogs- are welcome! This is also the home of the famous 12th Can beer, so you could pick those up as well while you’re there. Norm’s Eatery and Ale House– Seattle, WA If you’re looking for a place you can bring your kids AND your pooches, check out Norm’s in Fremont. They were an option for the Super Bowl last year & I’m assuming they should still be a good place for this year’s playoff games (but you might want to check with them first before you go). 6th Annual Sober Bowl – Tacoma, WA, Life Center Church. Has drawn 200- 300 fans every year. This a family-friendly event with a big screen tv, snacks, memorabilia & prizes. OMSI – Watch the game for FREE in their Empirical Theater, 4 stories tall and stadium seating. Seating is on a first-come, first serve basis – they will be opening the doors at 3:20pm. There will be food & drinks available to purchase, but no outside food/drink allowed. 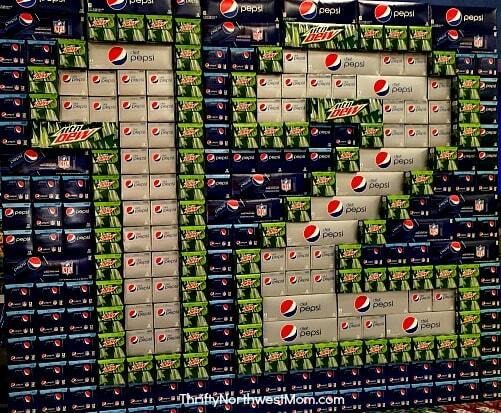 Oregon Live also has a list of Super Bowl viewing locations around the greater Portland area for you to check out. How to Host a Seahawks Party for $25 for 12 People – Check out these yummy appetizers & snack ideas for a game-day Seahawks party! Seahawks Game Day Printables – Make sure to print off our FREE Seahawks Game-Day Printables! 25 Game Day Recipes for the 12th Fan – Check out this roundup of appetizers, main dish, dessert ideas & more. Potato Skins Recipe – Easy Appetizers! Burgervilles will be playing it on their screens and they are running a $12 deal, 8 cheesburgers and an Xlarge crosscut fries deal that day. I know there aren’t any in Seattle but for your readers near one that might be a good option.